Odd-even traffic policy which is implemented during Asian Games XVIII on August 8-September 2, 2018 gives a positive impact on reducing 715 tons CO2e of greenhouse emission (GRK).
" 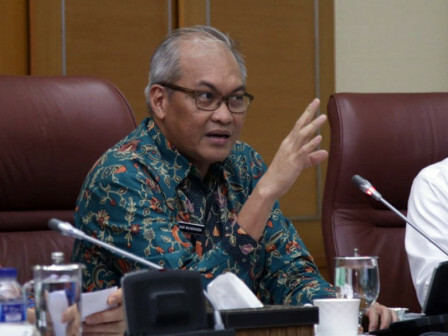 Transjakarta bus operational also supports mitigation action by reducing GRK as high as 512 tons CO2e"
Jakarta Deputy Governor for Spatial Planning and Environment, Oswar Muadzin Mungkasa stated, it can be achieved due to mitigation action support. In Jakarta, there is efficient use of energy in hotels, electricity use from solar panels, switch to energy-saving LED lights, recycling paper and cardboard waste, and composting. "Transjakarta bus operational also supports mitigation action by reducing GRK as high as 512 tons CO2e," he added, Friday (11/23). He explained, Jakarta Government has committed to reduce GRK emission by establishing Governor Regulation No. 131/2012 about Regional Action Plan for Reducing GRK Emission. City is targeting GRK emission to reduce by 30 percent by 2030. "Jakarta Government launches various development designs, one of them is Green Building Grand Design that manages about efficiencies in energy, water, and GRK emission reduction," he mentioned.